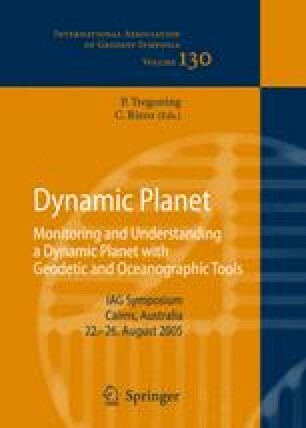 The Nordic Geodetic Observing System (NGOS) integrates fundamental geodetic techniques for the long-term observation of Earth system parameters. The Nordic Geodetic Commission (NKG) established a Task Force with the mission to prepare a document providing the definition and draft for the implementation of the NGOS. The regional system aligns with international efforts such as the Global Earth Observation System of Systems (GEOSS) and Global Observing Systems and adheres to the Integrated Global Observing Strategy (IGOS). Recent developments in the structure and function of the International Association of Geodesy cumulated in the establishment of the Global Geodetic Observing System, GGOS. NGOS is planned as a regional implementation and densification of the GGOS. The NGOS is proposed as a system that will serve a wide range of scientific and practical applications. For the Nordic countries, a main focus will be on crustal motion, dynamics of glaciated areas and sea level. NGOS aims to provide geodetic observations for the Nordic area that are of sufficient quantity and quality to serve most of the needs of global Earth observation as well as practical and scientific applications in the region. In particular, NGOS will contribute to the GGOS and other IAG Services; European activities such as EUREF, ECGN, EUVN, and ESEAS; provide the reference frames for the Nordic countries, as well as contribute to the global ones; support scientific projects related to the geodynamics of the Nordic area and provide ground-truth for satellite missions. In this paper we describe the plans and current status of the NGOS.